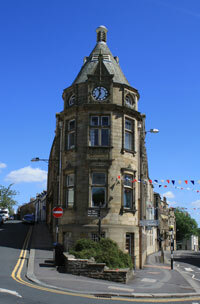 VisitClitheroe.co.uk is the official website of Clitheroe, Lancashire. Managed by The Clitheroe Chamber or Trade and Commerce and local business owners, this site is designed to give you all the information you need about Clitheroe, what's here, what's on and what to do! 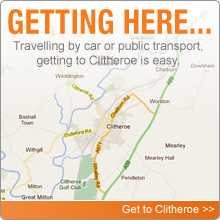 Set in the glorious Ribble Valley, Clithere is a regional market town catering for everyone. From shopping to entertainment, family days out to spectacular nightlife, Clitheroe always has something to offer. Clitheroe town centre is proud to specialise in the unique hard gift ideas, not usually easy to find on the high steet, making Clitheroe a shopping haven. Please note by entering your details up you agree to accept mailings from VisitClitheroe but we will never pass your details to any third party without your permission. You may unsubscribe at any time.